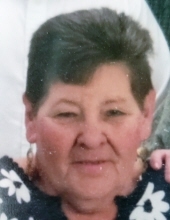 Rose Marie Weldon, 71, of North Liberty, died Friday, January 11, 2019 at Lantern Park Specialty Care in Coralville. Visitation will be held Thursday from 4:00 to 7:00 pm at Lensing Funeral & Cremation Service in Iowa City. Funeral Services will begin Friday at 10:30 am at Lensing’s. Burial will follow at St. Joseph Cemetery in Iowa City. Instead of flowers, memorials may be directed to The Rose Marie Weldon Memorial Fund. Rose met and later married Lee “Chuck” Weldon on November 26, 1971 in Iowa City. The couple later divorced however stayed close friends. Moving to North Liberty in 1972, Rose worked in the University of Iowa College of Nursing, retiring in 2002. She also enjoyed many years working at Hawkeye Feed & Relay in Coralville. She was a member of St. Wenceslaus Catholic Church in Iowa City. Rose enjoyed going out dancing, playing cards and board games with a passion for calling BINGO. Her greatest joy was watching her kids and grandchildren grow and play, especially at ballparks. Rose is survived by her children, Lonnie Weldon (Brianna) of Williamsburg and Lori Weldon Peters (Chuck) of Solon; five grandchildren, Joseph Peters, John Peters, Grace Weldon, Eisla Weldon and Darby Weldon; a brother Terry Robinson (Barb) of Broken Arrow, Oklahoma and a sister Donna Gaffey (Mike) of Iowa City and many nieces and nephews. She was preceded in death by her parents, a daughter Lisa Weldon, a brother Gary Robinson and two sisters, Roxci Huyett and Sherry Fritsche. "Email Address" would like to share the life celebration of Rose Marie Weldon. Click on the "link" to go to share a favorite memory or leave a condolence message for the family.